I am an ordained Presbyterian minister. I like to think of myself as a Mental Health Advocate as my current calling, since I can’t pastor a church anymore because of how my Bipolar Type 1 manifests. I also have Generalized Anxiety Disorder, which just exacerbates the Bipolar. I’m a lover of movies, books, politics and sociology. I’d like to do a PhD in Sociology if my brain will let me. It’s hard to read, so we’ll see what’s in store for me in the next few years. I recently moved back in with family to get extra support. Even with a strong support system, it wasn’t enough to keep me from being lonely where my thoughts and feelings would take over to make me suicidal and bouncing in and out of the hospital over 30 times in the last 7 years. I was diagnosed in September 2010 after falling from a manic high (August being a common time for mania for me) into a suicidal depression, my first and definitely not my last. Among my therapist, psychiatrist and me, we figured out I had my first depressive episode at 13 when I had major back surgery for scoliosis. Manic delusions may have started as early as 9, however. 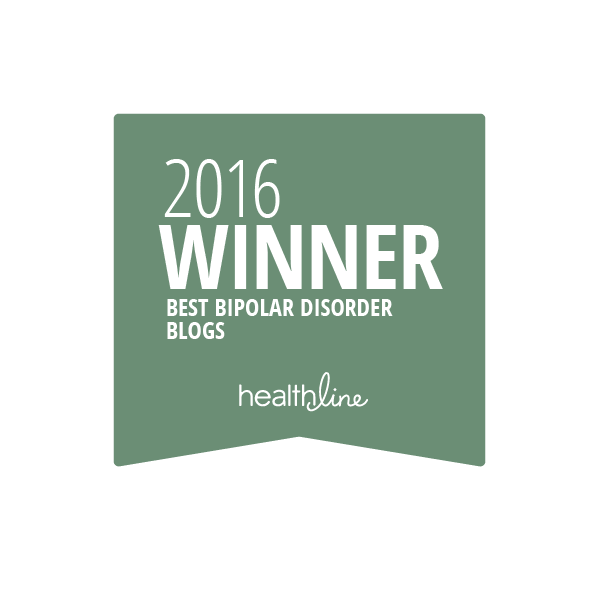 I had hallucinations in 2 psychotic episodes my first year in college at age 17, a common time for bipolar to raise its ugly head. I spent my young and middle adult years in primarily hypomania, some mania and fewer depressions. I had a vibrant spirituality that people thought was a gift, but was really mania. Oh, well. As I said, I was diagnosed in 2010, a year into my first solo pastorate after years as an associate pastor or youth director. I loved and was good at my job. It’s been a huge loss and sore spot that I can’t pastor anymore. Over the next 7 years I had amazing care from my psychiatrists and therapists, and a strong support system. But I still bounced in and out of a psychiatric hospital over 30 times, for as few as 3 days, and as much as 2 months. I saw the darkest days, despite love and support. I’m still looking for the right medication cocktail after Years of trying. Every time I went into the hospital we tried something new or tweaked something. And my psychiatrist outside did too, though she was more conservative. Finally, I spent 3 months at my family’s home relearning how to care for myself (cooking, cleaning, exercise) and getting concentrated support and love. Eventually, together, we concluded that I should move to Texas from Chicago-land to continue support, be around people, and at least temporarily live in community. I hope to live a mile away soon and still get the benefit of daily support but independent living again. I’ve been with my family for two months now and we are slowly making our way into community. I don’t feel settled. I miss my old support system. I sobbed leaving my main psychiatrist. I’ve been in a day program and inpatient for a few days. But I’m looking forward now to beginning a new life with meaningful activities. 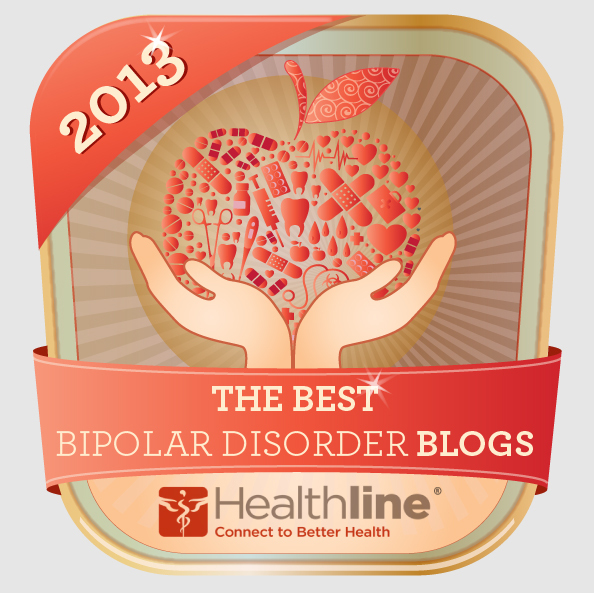 Early in my diagnosed life, I accepted the bipolar as something I would have to manage for the rest of my life. The bipolar and anxiety are just a part of me, though sometimes taking care of them seems to overwhelm me. I remind myself they are just a part of me. I have routines and schedules. I advocate for myself with providers, and I talk with my support system regularly, sometimes (ok, most of the time) daily. I use coping skills like Radical Acceptance, Mindfulness, Thought Defusion, and Committed Action toward My Values (from Acceptance and Commitment Therapy). I also use Dialectical Behavioral Therapy skills such as Mindfulness, Emotion Regulation, and Distress Tolerance. I also volunteer at various places, though it’s hard and I have a hard time holding even one for longer than a couple months. Maybe I haven’t found the right place for my passion yet. I hope to meet you in the blogosphere or on Facebook or Twitter. Together we can end the stigma and support one another. Find your voice! Cross posted on MyLoudBipolarWhispers.com as part of the “There’s Glory in Sharing Your Story” campaign. This entry was posted in Celebration, Coping Skills, Diagnosis, Family, Health, Hospitals, Moods, Recovery, Work. Bookmark the permalink.